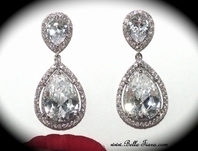 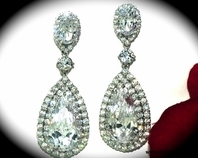 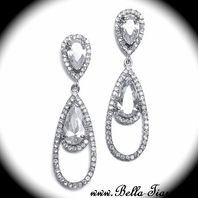 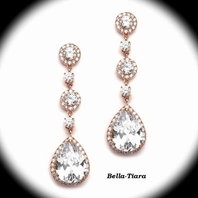 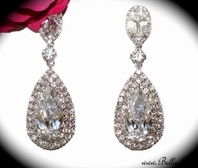 Description: These truly unique earrings are composed of silver plated teardrop loops that sparkle with clear rhinestones. 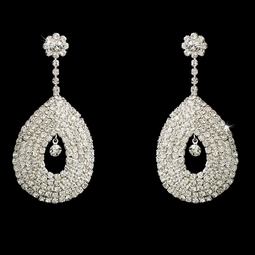 The loops showcase a clear rhinestone, making this piece a lovely choice with your white or ivory wedding dress. 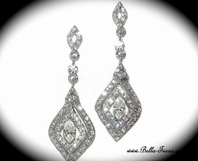 The earrings measure 1 1/8" at the widest part of the loop and dangle 2 3/8".